A splendid time is guaranteed for all when Orrin Evans unleashes the debut record of the Captain Black Big Band. 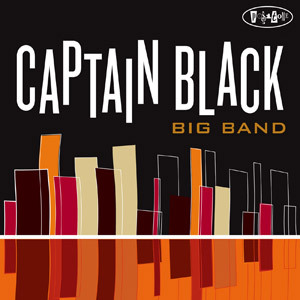 Recorded live at The Jazz Gallery in NYC and Chris' Jazz Cafe in Philadelphia, the Captain Black Big Band record features newly commissioned arrangements and some brand new tunes. Joining Evans on the date are some of the best players from the Philadelphia and New York jazz scenes. The session is insightfully straight ahead, steadily swinging, and refreshingly melodic enough to evoke a wide assortment of bright moments for discerning jazz fans everywhere. Check out the large sound when Orrin Evans leads the Captain Black Big Band on a steady course towards success and takes care of business with their amazing new self-titled record.